This story originally aired on May 10, 2016. 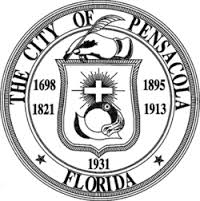 The Pensacola City Council held a workshop Monday on the 11 charter amendments, which range from minor tweaks to scrapping the charter altogether and returning to the previous council-manager form of government. “We had a very interesting discussion, some of it very contentious. What came out of it, I think, is that we have a pretty divided Council on most of these issues,” said Councilman Larry B. Johnson, who represents the city’s 4th District. While some council members argue strong mayor-council hasn’t succeeded, Johnson says the jury’s still out. District Two Councilwoman Sherri Myers believes that if voters were given the choice, they would take the city back to the old form of governance. But, if the current form is here to stay, Myers says there are some changes to the charter that she thinks would give the council more control. “I felt it was my obligation, as I picked up the paper and read that there was a workshop that was going to be held, and then they were discussing upwards of 11 amendments that would be placed on the ballot, that that can’t just happen in a vacuum,” said David Stafford, Escambia County’s Supervisor of Elections. He points to the 2012 election, when so many state constitutional amendments were up for a vote that the ballot had to be expanded to two pages. Elsewhere, Councilman Larry Johnson’s proposal to reduce the panel from seven to five members might not have been possible, had the U-S Supreme Court not struck down key parts of the 1965 Voting Rights Act. But Johnson says minority voting strength would not be diluted. Monday’s workshop opened the door for additional study of all 11 proposals. Councilwoman Sherri Myers says they’re not yet at the point where they should put the charter amendments on the ballot. Two council members are solidly behind the current charter. Brian Spencer says he’s heard from a number of constituents who like mayor-council; and Andy Terhaar says – quote -- “don’t upset the apple cart if it’s moving in the right direction” – end quote.